Having trouble deciding if you want to make cookies or brownies? Here are some easy recipes you are sure to love for Chocolate Brownie Cookies. Why not whip up a batch of today and get the best of both worlds? Your family and friends are sure to love them too. 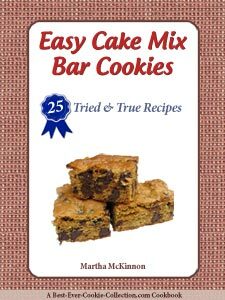 We gathered our favorite "from scratch" recipes along with those that give you a head start and begin with brownie mix. Either way, you can't go wrong with these special, easy-to-make cookies. Place rack in center of oven and preheat to 325F degrees. For easy clean-up, line cookie sheets with parchment paper or if you prefer, use ungreased cookie sheets. In a large microwave-safe bowl, add the chocolates and butter and microwave on high for 1 to 2 minutes, until the butter is melted. Continue stirring until the chocolate is also melted and the mixture is well blended. Allow chocolate mixture to cool slightly, then stir in the sugar. Add the flour, baking powder and salt and mix until well combined. Add the nuts and stir until distributed throughout the mixture. Drop by rounded tablespoonfuls, about 2 inches apart, onto lined or ungreased cookie sheets. Bake, one cookie sheet at a time in the center of the oven, for 12 minutes or until cookies are set when lightly touched. Remove from oven and let cookies stand on sheet for 1 minute before transferring to wire racks to cool completely. Baking Note:If you decide to omit the nuts, increase the flour to 1 1/3 cups so the dough doesn't spread too much while baking. 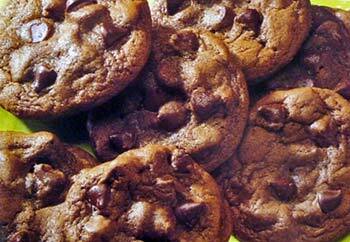 This recipe yields about 3 dozen Rich and Chocolatey Brownie Cookies. Place rack in center of oven and preheat to 350F degrees. In a microwave-safe bowl, microwave the chopped chocolate pieces and butter on high for 30 seconds to 1 minute, until the butter is melted. Continue stirring until the chocolate is also melted and the mixture is well blended. Let cool slightly. Combine the flour, cocoa, baking powder and salt in a small bowl. Gradually add the flour mixture to the chocolate mixture and stir until well blended. Cover batter and refrigerate at least 2 hours. Drop tablespoonfuls of dough about 2 inches apart onto parchment lined or cookie sheets that have been lightly misted with nonstick cooking spray. Bake, one cookie sheet at a time in the center of the oven, for 7 to 9 minutes or until cookie edges set and tops are slightly cracked. Remove from oven and let cookies stand on sheet for 2 minutes, then transfer with metal spatula to wire racks to cool completely. In a microwave, melt remaining 1/4 cup chocolate chips and shortening and stir until smooth. Drizzle melted chocolate over cooled brownie cookies. Let stand for 30 minutes or until chocolate is set, before storing in airtight container. 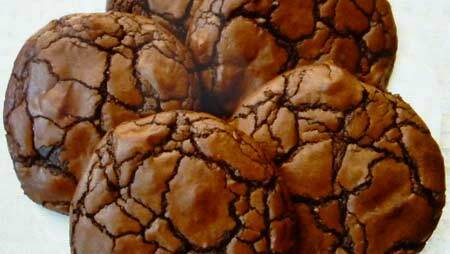 This recipe yields about 36 Triple Chocolate Brownie Cookies. Line cookie sheets with parchment paper or lightly grease with nonstick cooking spray. In a large bowl, stir together brownie mix, vegetable oil and eggs just until blended. Stir in chocolate chips until they are distributed throughout mixture. Using small cookie scoop, drop dough by heaping tablespoons onto prepared baking sheets, spacing about 2 inches apart. Bake one sheet at a time on center rack until cookies are firm around the edges but still soft in the center, about 10 to 13 minutes. Remove from oven and allow cookies to cool on sheet for 1 minute, then transfer to wire racks to cool completely. 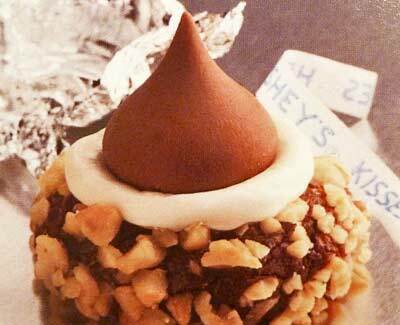 This recipe yields between 3 and 4 dozen Quick and Easy Brownie Cookies. You can have this recipe all finished in about 45 minutes from start to finish - and you'll be rewarded with amazing chocolate and fudgy decadence! Preheat oven to 325F degrees. Line cookie sheets with parchment paper or lightly spray with nonstick cooking spray. In 2-quart saucepan, heat butter and 1 cup chocolate chips over low heat, stirring occasionally until melted. Cool slightly while coninuing to stir occasionally. Stir in flour, cocoa and salt. Drop batter by tablespoonfuls onto prepared baking sheets, about 2 inches apart. Bake about 10 minutes or until almost set. Remove from oven and allow cookies to cool on sheet for 5 minutes before transferring to wire racks to cool completely. This recipe yields about 4 dozen Fudgy Brownie Cookies. In a small saucepan, heat 3/4 cup chocolate chips over low heat, stirring occasionally until melted. Preheat oven to 350F degrees. Line cookie sheets with parchment paper or use ungreased sheets. In a small bowl, sift together flour, baking soda and salt. 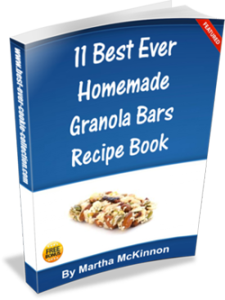 In a large bowl, beat butter, granulated sugar, brown sugar, peppermint extract and vanilla extract until creamy. Slowly beat in dry flour mixture until well mixed. Stir in remaining chocolate chips and chopped nuts. Drop dough by rounded tablespoonfuls onto prepared baking sheets, about 2 inches apart. Bake about 8 to 12 minutes or until sides are set but centers are still soft. Remove from oven and allow cookies to cool on sheet for 2 minutes, then transfer to wire racks to cool completely. This recipe yields about 3 dozen Mint Chocolate Brownie Cookies. Preheat oven to 375F degrees. Place sheets of foil on countertop for cooling cookies. In a large bowl, beat brown sugar, butter, water and vanilla with an electric mixer on medium speed until well blended. In a small bowl, stir together flour, cocoa powder, salt and baking soda. Slowly add dry flour mixture to butter mixture and beat on low speed, just until blended. Drop dough by rounded tablespoonfuls onto ungreased baking sheets, spacing about 2 inches apart. Bake 7 to 9 minutes or until cookies are set. Be sure to not over-bake. Remove from oven and allow cookies to sit on sheet for 2 minutes before transferring to foil to cool completely. 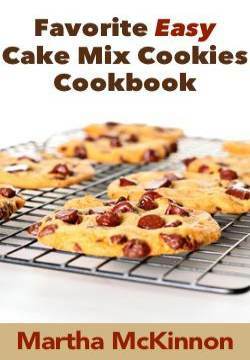 This recipe yields about 3 dozen Chewy Chocolate Chip Brownie Cookies. Preheat oven to 350F degrees. Line cookie sheet with parchment paper. In a microwave-safe bowl, heat the butter and chocolate in 5 to 10 seconds bursts on 50% power. Continuously stir between heatings until just melted and be careful not to burn mixture. Stir in the sugar, salt and vanilla until well mixed. Stir in the eggs, one at-a-time, until thoroughly incorporated. Add the flour and baking powder and stir to combine. Stir in half the chopped walnuts. Drop dough by rounded tablespoonfuls onto prepared sheets, spacing about 2 inches apart. Sprinkle remaining walnuts over top of each cookie. Bake about 8 minutes or until cookies are puffed, starting to crack and barely set. Be careful to not over-bake. 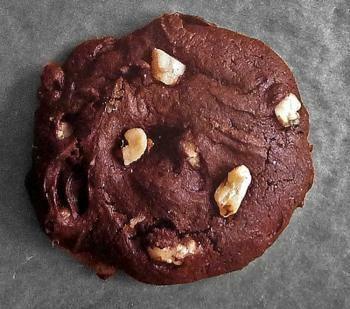 This recipe yields about 12 Fudge Walnut Brownie Cookies.